Are the Kids Really Okay? Home Articles Children and Teens Are the Kids Really Okay? Sometimes children and teens seem to be “okay” when they and the victimized parent have left a situation of domestic violence. The children may not cry, may not want to talk about the hostility or its aftermath; and may even insist they are “just fine.” Caring parents want to know if they should believe that their children have survived unscarred, or keep probing for possible problems. Find out how your child behaves in other settings. Ask teachers, coaches and even the parents of your children’s friends how your child behaves when you are not there. You do not need to say why you are asking—it is perfectly normal to want to know. Does your child have friends? Does your child participate in activities? If other adults report that your child is unusually withdrawn or aggressive, or struggles with schoolwork, it may be a sign that your child needs extra support. If your child is doing well in other settings, this suggests that your child has found effective ways to cope. Nevertheless, stay attentive! Sometimes all seems to be well during one stage of your child’s life, but problems pop up later. Pay attention to what your child expresses non-verbally. Sometimes children and teens say everything is okay with their words, but their bodies tell a different story. If your child has problems with sleeping, under or over-eating, or has unexplained aches and pains, this may be an indication of unresolved trauma. This is not necessarily a result of the domestic violence exposure, however; your child could have other worries that are completely unrelated (such as relationships at school). Speak with your children about their lives, and have physical symptoms checked out by an empathic and reliable physician. Is your child having trouble focusing? Sometimes children with a trauma history have trouble sitting still or concentrating on their schoolwork. When they scan the environment for signs of danger, startle at sudden noises or movements, or even respond in an overly aggressive way, this can look like symptoms of ADHD, when it is actually a response to trauma. Because computer and video games train children’s brains to expect and respond to rapid stimuli, it is a good idea to limit your child’s exposure to electronic media. In this way, your child’s brain will become accustomed to the pace of non-electronic interactions. They need down time and time to think in order to process the large and small events in their lives. As parents, we model this behavior, by putting away our phones, turning off the TV, and engaging in activities with our children such as reading and talking about our days. What should you do if your child refuses to talk? “I wouldn’t push them to talk about anything when they are not ready. Just say, ‘I’m here and willing to listen any time you do want to talk about things. And if there is someone else you feel more comfortable talking to, like a counselor, just let me know,’” suggests Eric Aronson, Psy.D., clinical psychologist and trauma specialist in Montpelier, Vermont. Aronson recommends reassuring children that they can discuss subjects that are difficult to talk about and that they do not need to protect the adults around them. Aronson points out that children sometimes seem angry at their victimized mother, rather than at the abuser, and blame her for the changes in their lives post-separation, such as having to change schools or homes, and leaving friends and pets. He urges protective parents to be patient and understand that the child is blaming the parent who is safer to blame. The child’s views are likely to change over time. 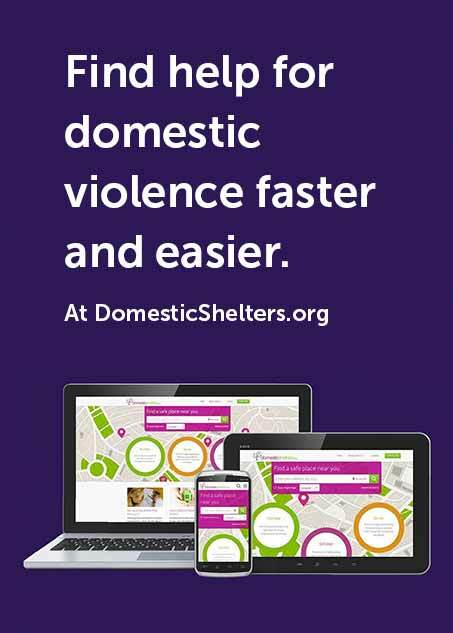 To learn more about the after-effects in children who have witnessed domestic abuse, visit the articles in our Childhood Domestic Violence category. Editor's Note: Lisa Aronson Fontes, PhD, is a senior lecturer at the University of Massachusetts and author of Invisible Chains: Overcoming Coercive Control in Your Intimate Relationship. Photo by Hisu lee on Unsplash.